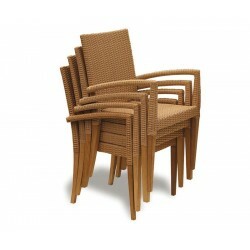 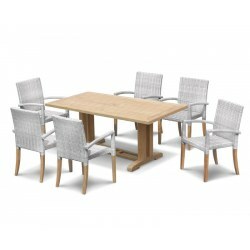 This 6 seater garden set is handcrafted from sustainable teak and all-weather rattan for superior durability and longevity. 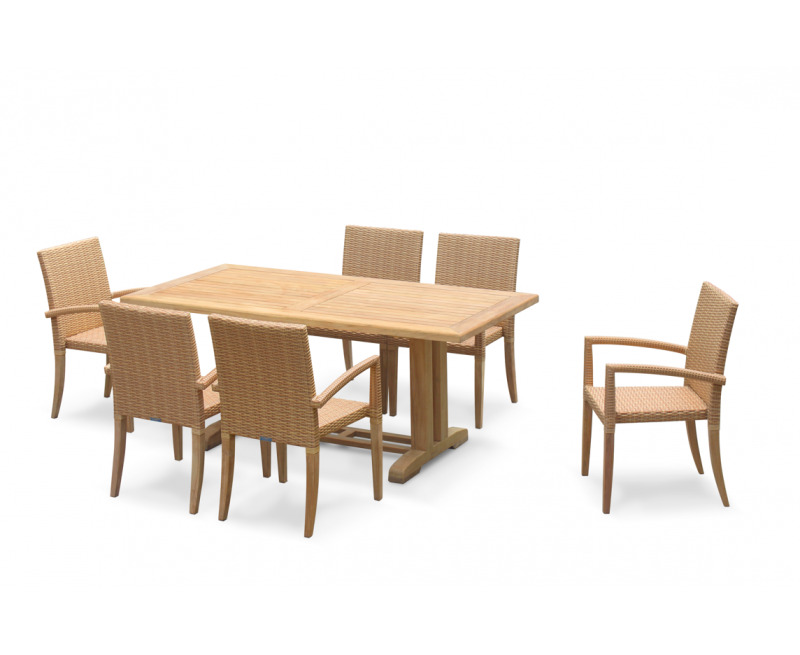 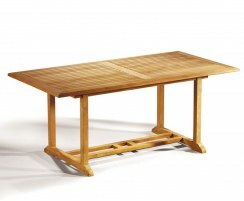 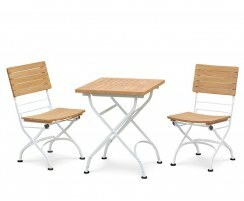 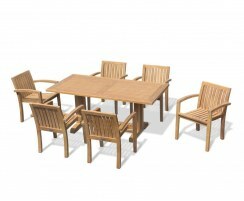 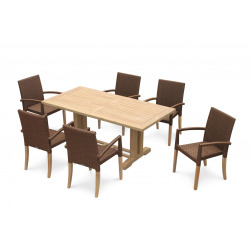 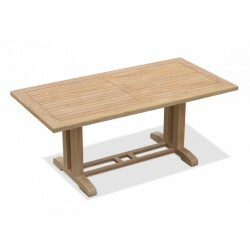 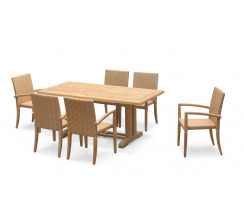 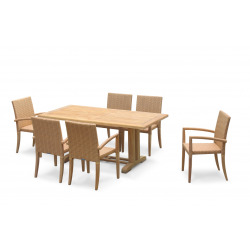 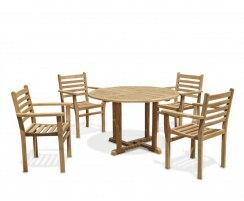 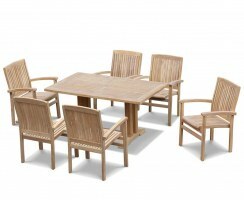 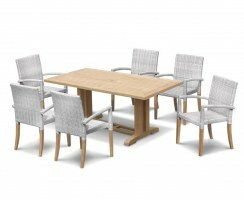 This stunning teak garden dining set is a superb choice for luxurious alfresco dining in comfort and style. 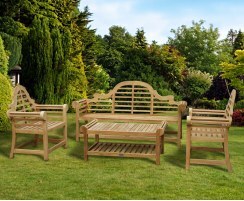 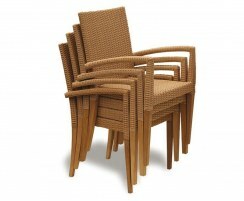 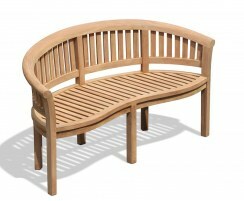 This 6 seater garden set offers plenty in the way of outdoor entertainment and alfresco dining. 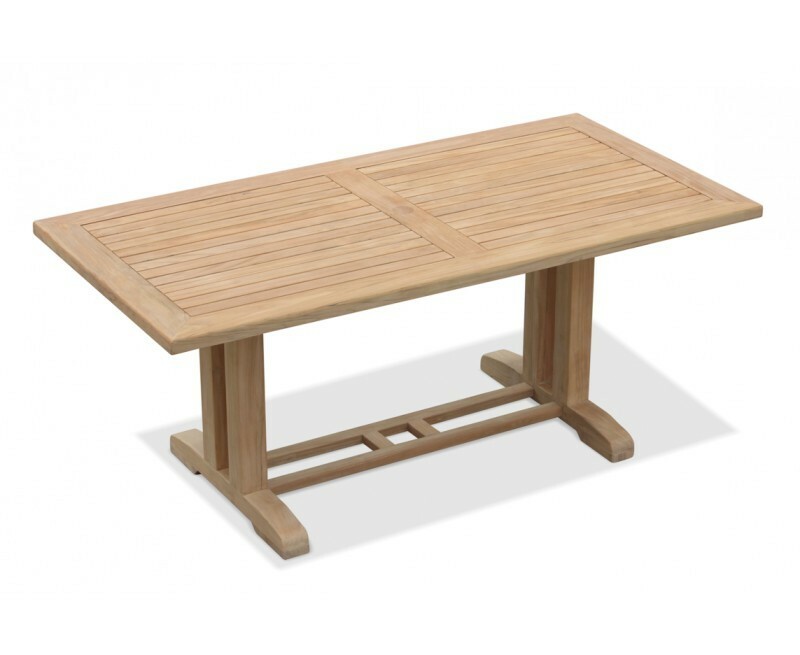 Offering a superb combination of contemporary style and robust construction, the table is crafted from sustainably sourced A-grade teak for strength, durability and aesthetic appeal. 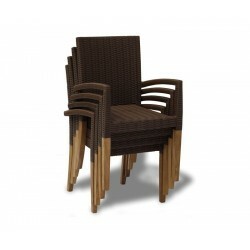 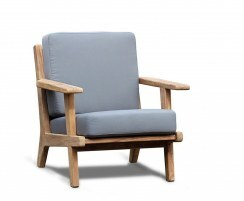 The 6 armchairs are crafted with synthetic Rehau Raucord® rattan woven over sturdy teak frames. 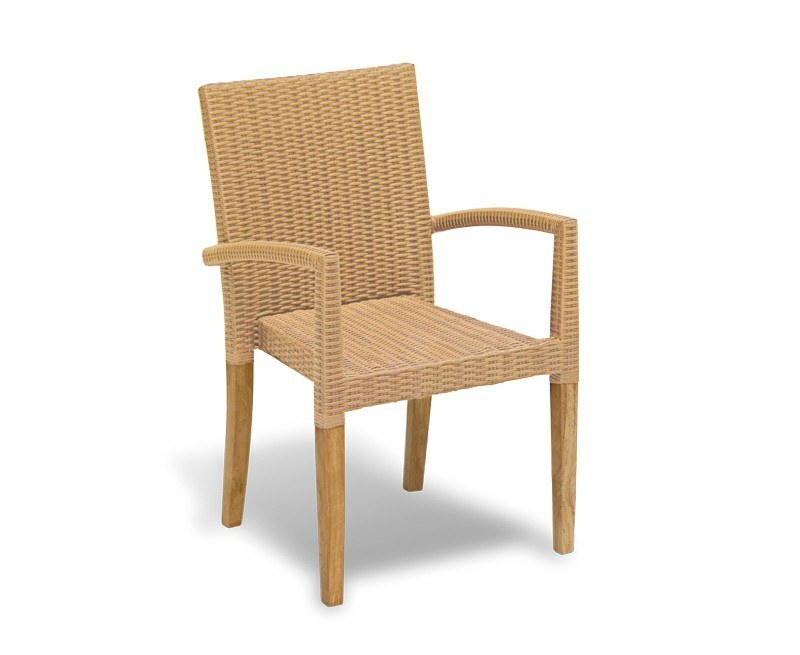 Rehau Raucord® rattan benefits from greater weather-resistance than its genuine counterpart. 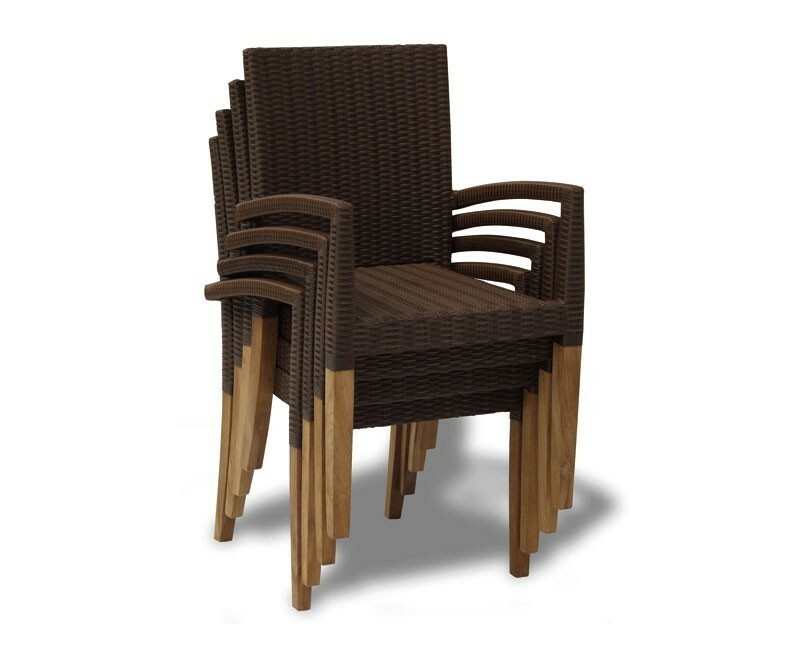 These chairs are available in either Honey Wicker or Java Brown weave colours – please make your selection from the options above. This 6 seater garden set has been built to last and can be left outdoors all year round in all weather whilst requiring minimal maintenance. 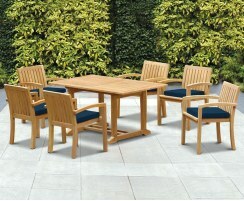 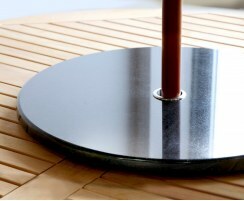 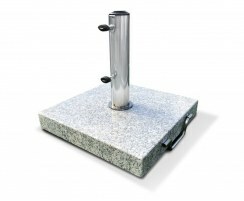 Why not consider a parasol and base (not included, available separately) for added colour, style and comfort. 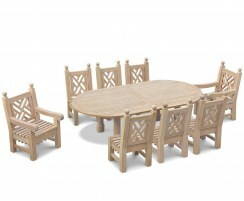 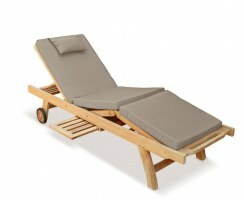 This 6 seater garden set will be delivered to you fully assembled for your immediate enjoyment. 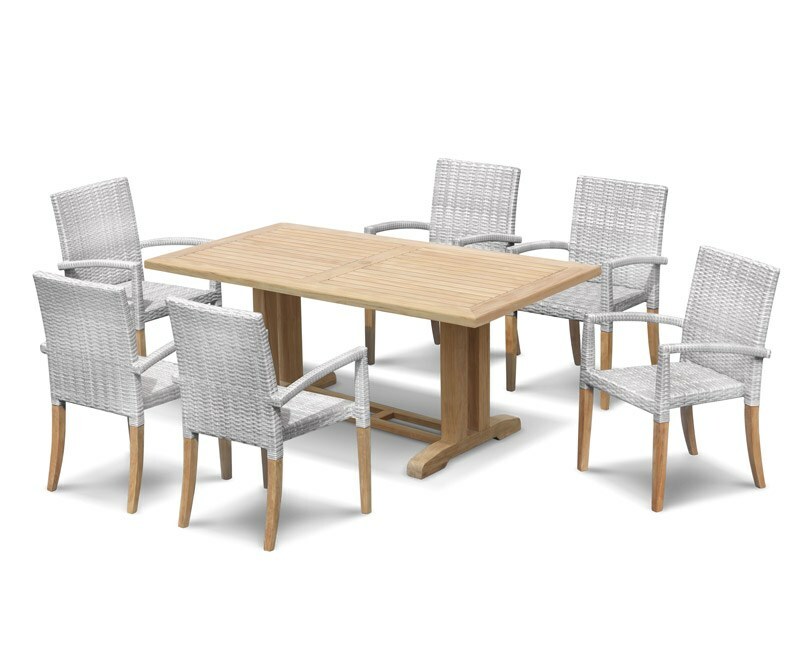 Our woven garden furniture is manufactured from hardwearing, soft-touch synthetic Rehau Raucord® rattan which boasts the natural look and feel of genuine rattan but with greater durability and quality. 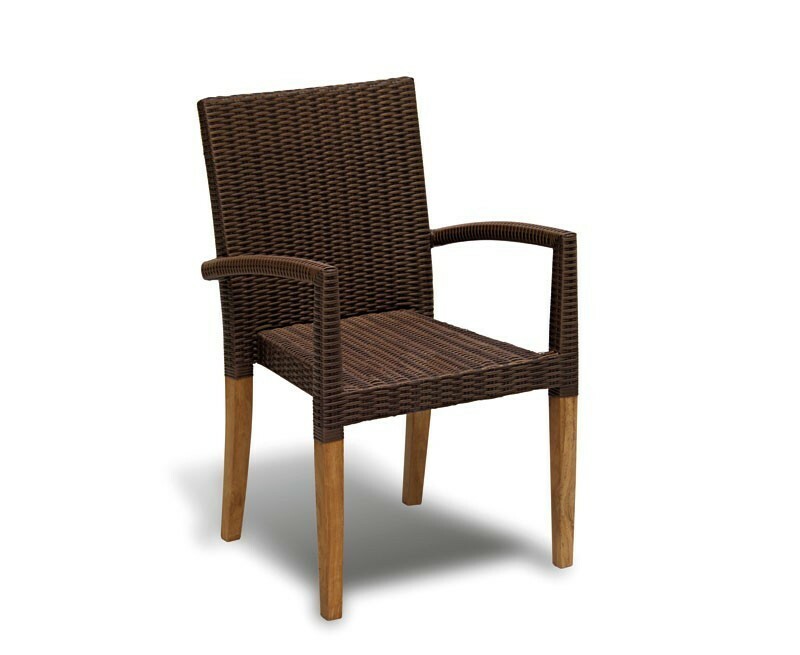 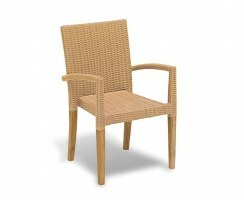 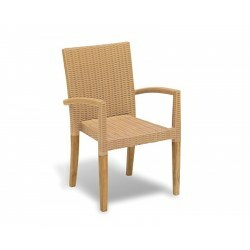 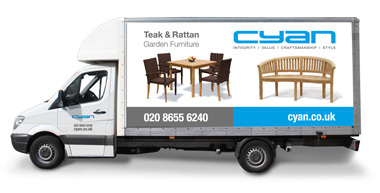 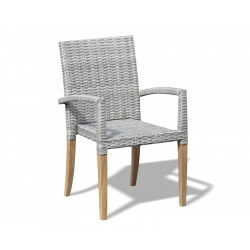 The synthetic fibres have a high-tensile strength and can withstand heavy use, so our rattan furniture is equally at home in private and public settings. 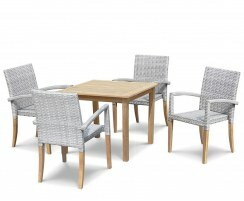 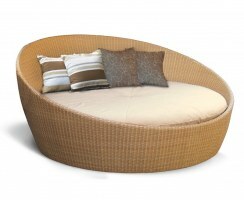 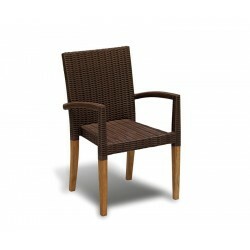 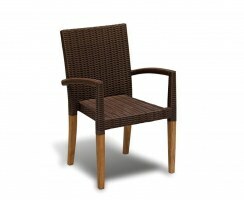 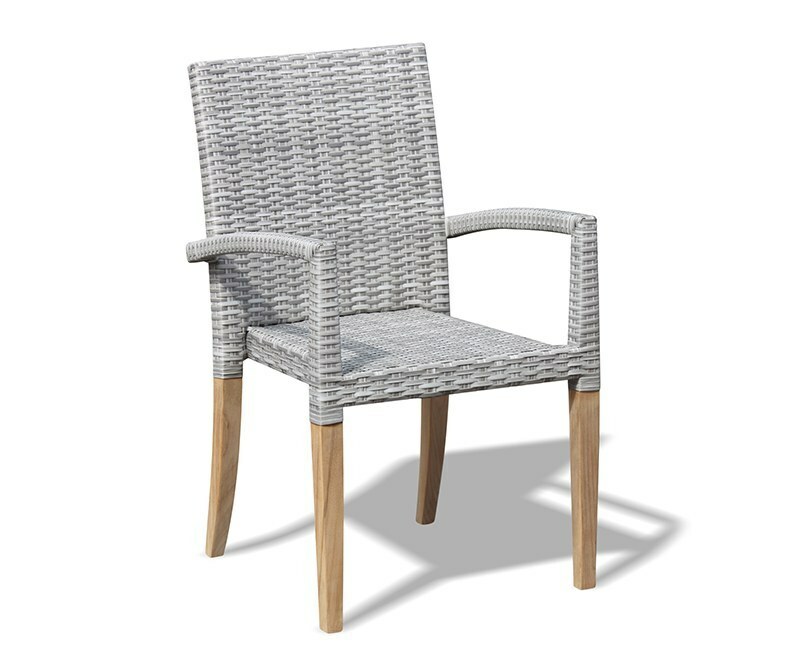 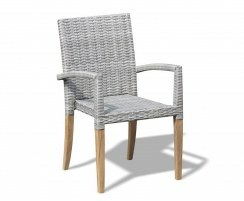 Suitable for both indoor and outdoor use, our wicker furniture can be left outdoors all year round.